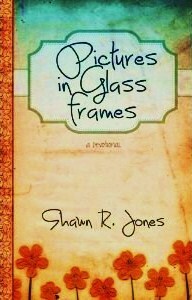 Pictures in Glass Frames is also available at http://t.co/BxiNwWRG and www.amazon.com. It is also available on the Nook, kindle, and itunes. Shawn, is this devotional for women or men? Do you think I would enjoy it? The blurb sounds good. You’re welcome, and thank you so much for stopping by!! Grateful and a lot more is all i am when i read your blog…. thank you for reminding me to thank God for disappointments and blessings………. God Bless you. Abi, you have made my day! God bless you!